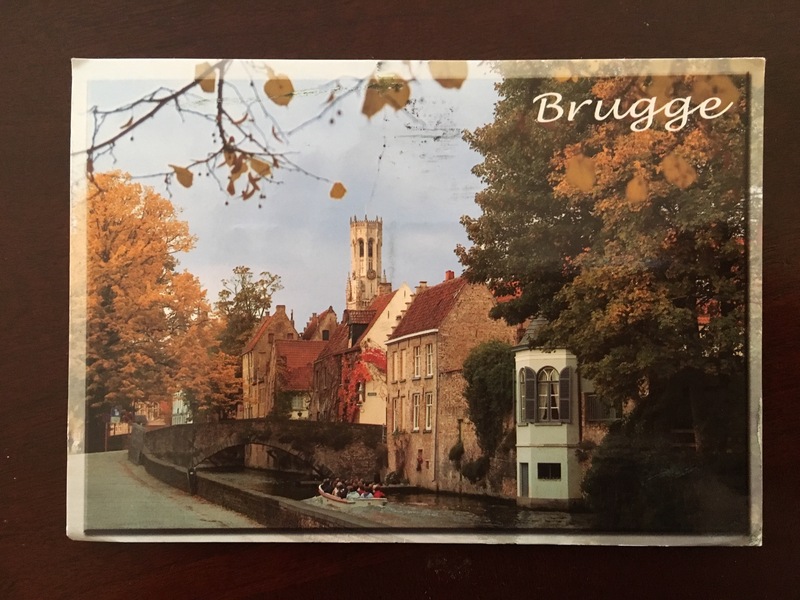 A friend of mine visited Bruges, Belgium last year with her daughter; I’ve never been. Evidently, it’s quite charming, and there’s lots to see (and to eat and drink) there. It was the first stop on Mademoiselle‘s week+ long “fall break” tour of Europe at the end of October, and she went with another jeune fille from UNC. Stay tuned for their other stops. In conclusion, Bruges is the most lovely town and Flemish sounds like Old English. **not sure of the date, I couldn’t make out her writing. But it was in late October.